Daily Job Report Forms 212 At Print EZ. 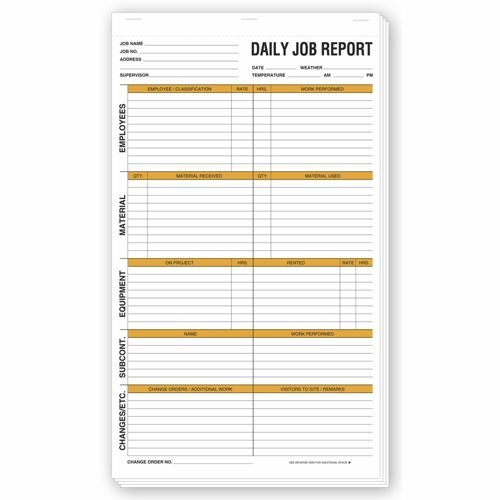 Daily Job Report Forms Item No. 212 Size: x 1"
It is hard to find these forms and it is something that we use daily. 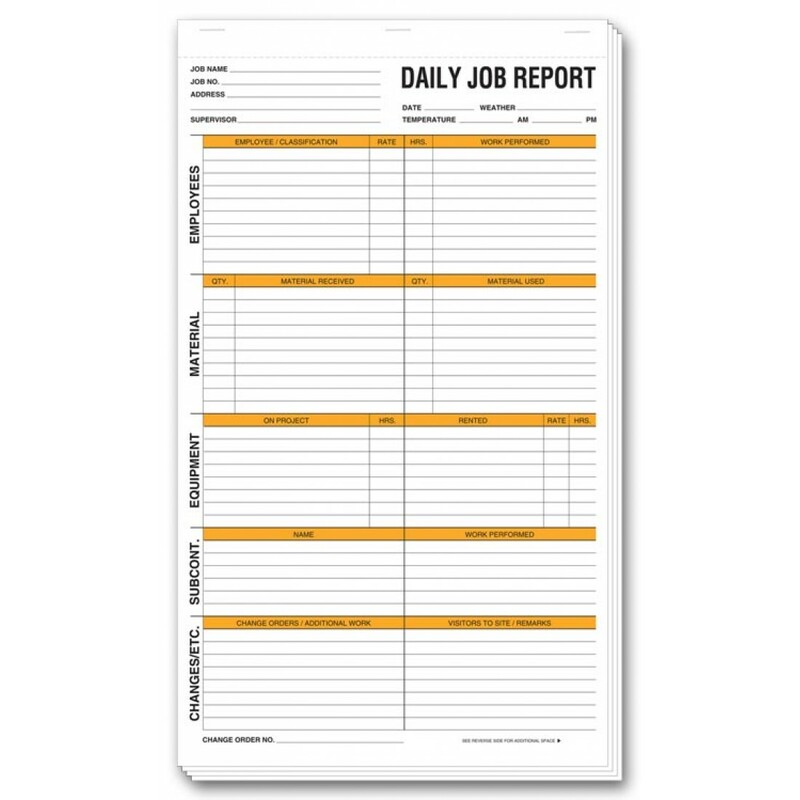 Received the Daily Log Sheets, and they will work perfectly for our project.